Another very busy week in Le Chic Household! However to boost spirits, after an earlier than usual winter when temperatures dropped down rapidly in May and June, we have the beginnings of spring already. 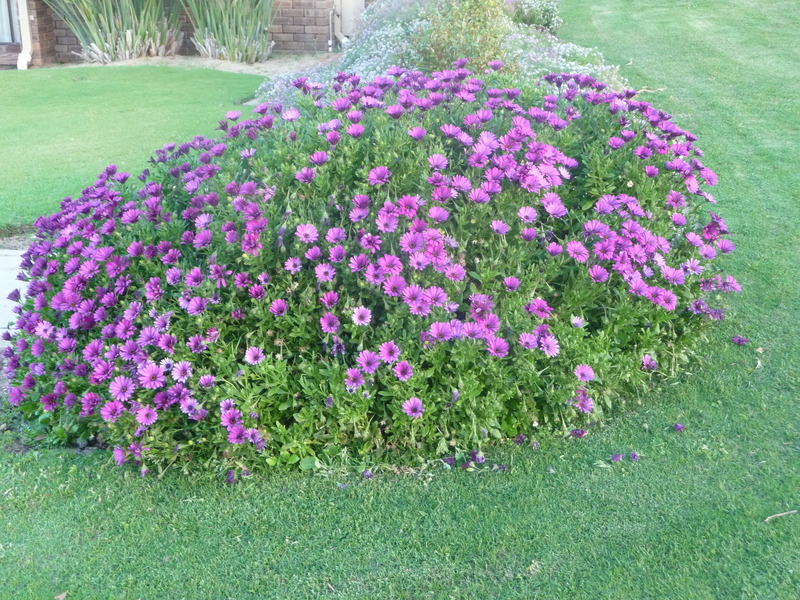 There is a warm feel in the air, the birds are nesting and blossoms and spring flowers abound. Last weekend Monsieur Le Chic and I did our usual walk around the block, which is a wonderful stress relief and one we could easily take for granted. We took Winston Le Schnoodle, (our very friendly and exuberant schnauzer/poodle cross), for a walk up over the Top Of The World. This is not an expedition across the Himalayas or Alps but a path that takes us through an area of natural unspoilt bushland only about 20 minutes from the centre of Perth. Since we live a few minutes drive from the Indian Ocean, we are basically at sea level and this happens to be the only big hill for several kilometres around, so you get wonderful views across to the ocean in the west, the city of Perth to the south and the Darling Hills to the east. We are so privileged to live no more than 5 minutes walk away from this beautiful unspoilt natural bush. The park’s official name is Trigonometric Park. This has a mathematical meaning, which Monsieur Le Chic has tried to explain to me on a number of occasions and which has totally gone over my head (the very mention of the word trigonometry reminds me of my struggles with geometry at school)! What I can relate to however, is the importance of conserving this precious bushland and as a result, the flora and fauna that live there. 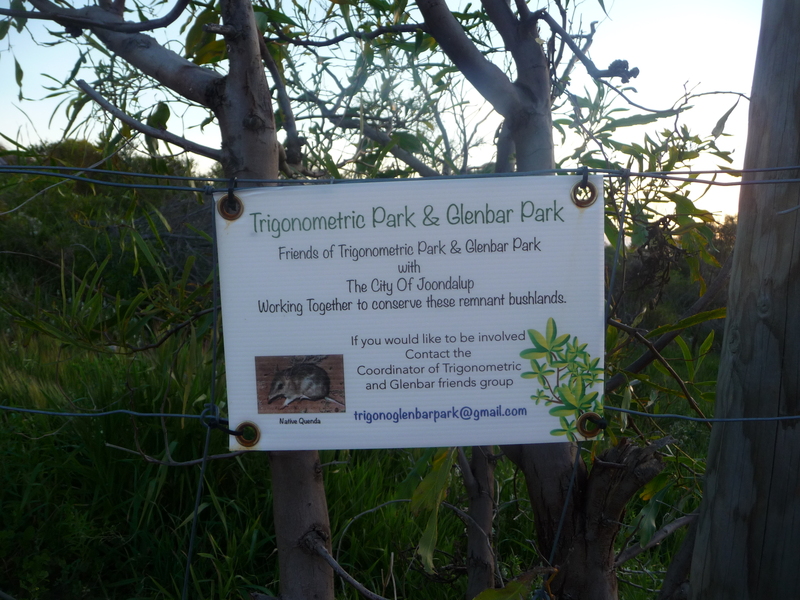 The Urban Bush Council of WA promotes conservation work in such areas and there is a local group, the Friends of Trigonometric/Glenbar Park who assist in this work. They are volunteers who work with the local council, the City Of Joondalup, in order to clean up rubbish, control the weeds and replant in areas where vegetation has died. They encourage local families to bring their children along so there is an educational purpose too, which is important if these areas are to survive. This will be a great activity to do with our little granddaughter, La Petite, when she is a bit older. I had to look up what a “quenda” is and found that it is commonly called the “southern brown bandicoot”. It is found mostly in southern Australia including the south west corner of WA. It is a marsupial and its conservation status whilst not actually threatened is listed as “conservation dependent”, hence the need to preserve these bushland areas, its natural habitat. Unfortunately in the haste to build new homes quickly and cheaply, especially in the outer areas of Perth, trees and vegetation are bulldozed to make way for new developments. Another threat comes from domestic pets which is why Winston Le Schnoodle is always kept on a firm leash whilst walking over The Top Of The World and our cat, La Duchesse, is kept indoors (so far so good – she is still a kitten)! 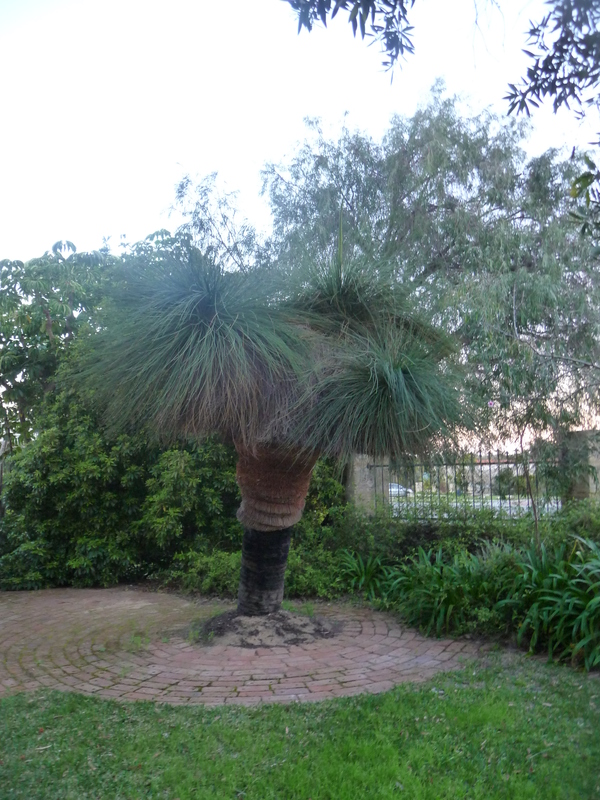 We have in our garden a couple of beautiful grass trees which must be over 100 years old. Nowadays they are usually removed when land is cleared for development and there is a thriving business in selling them for replanting. This all seems rather unnecessary if they were kept in situ in the first place. When our suburb was first developed around 40 years ago, they used to leave them exactly where they had always been! On a final note I’ll leave you with a photo I took at the end of our walk just as the sun was setting over the Indian Ocean. 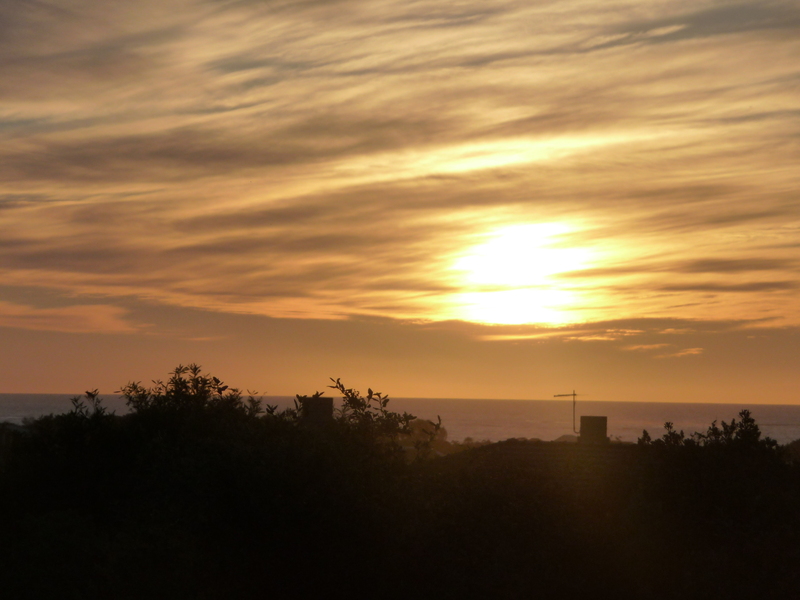 This is another wonderful benefit we get from living in this part of the world on the western coast of Australia. We have some magnificent sunsets! Especially in the summer months watching the sun dip down over the horizon and finally disappear is a lovely way to end the day. Can’t beat a little fresh air and exercise in beautiful surroundings. 🙂 I’ve never seen a grass tree before. It’s rather splendid. And what a lovely mellow sunset! Yes, sunsets over the sea/ ocean are very special 🙂 I’m looking forward to reading more about Australia! Great pictures and it looks like spring already! ← Travelling In Style – Collecting Scarves And Accessories Along The Way!